Going Full Throttle for Triumph Bike Launch - On Event Production Co.
We love high-octane events here at On Event Production Co, so it was great to again team up with Pidcock Motorcycles to help it launch its new range of iconic Triumph bikes. 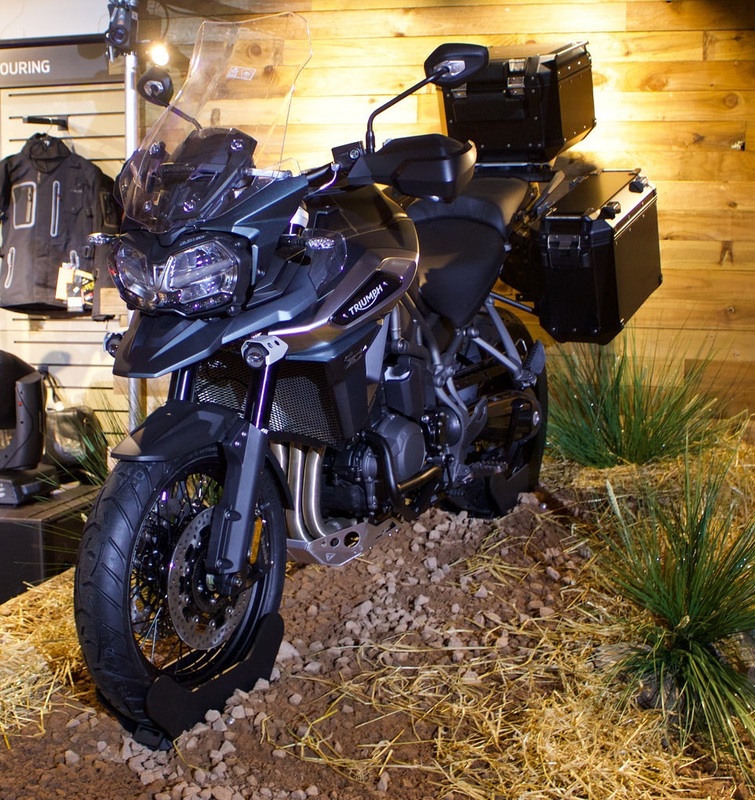 Following the success of a similar launch last year, we were tasked with staging a special event at Pidcock’s Long Eaton dealership, to unveil the new Triumph Tiger 1200 and 800 models. Pidcock is an approved retailer for Triumph, Ducati, and BMW. We were given a brief to create a visually-stunning set and platform on which to unveil the new bikes to the 250 guests from the local biking community who were present at the launch. We created a stage and off-road backdrop for the bikes, so they looked at home in their natural environment when unveiled by a curtain Kabuki drop. We also installed large video screens around the event and choreographed a light and sound show to crank up the adrenaline-fuelled atmosphere. The guest speaker on the night was Niall Mackenzie, a former motorcycle road racer who won the British Superbike Championship three times between 1996 and 1998. Niall took part in an audience Q&A session, which was hosted by Triumph’s national sales manager, Bruno Taggliaferri. Mike Hannack, Marketing Manager at Pidcock Motorcycles, said: “This was a great event and really helped us to launch our new range of Triumph bikes to the local biking community with a bang. “Following a successful series of launches last year, we once again enlisted the help of On Event Production Co. to bring this event to life and we weren’t disappointed.